The Super Herbal Ultra Slim Tea blend of 100% natural herbs provides a light, delicious caffeine free beverage that helps achieve results in aiding digestion and contributing to weight loss. 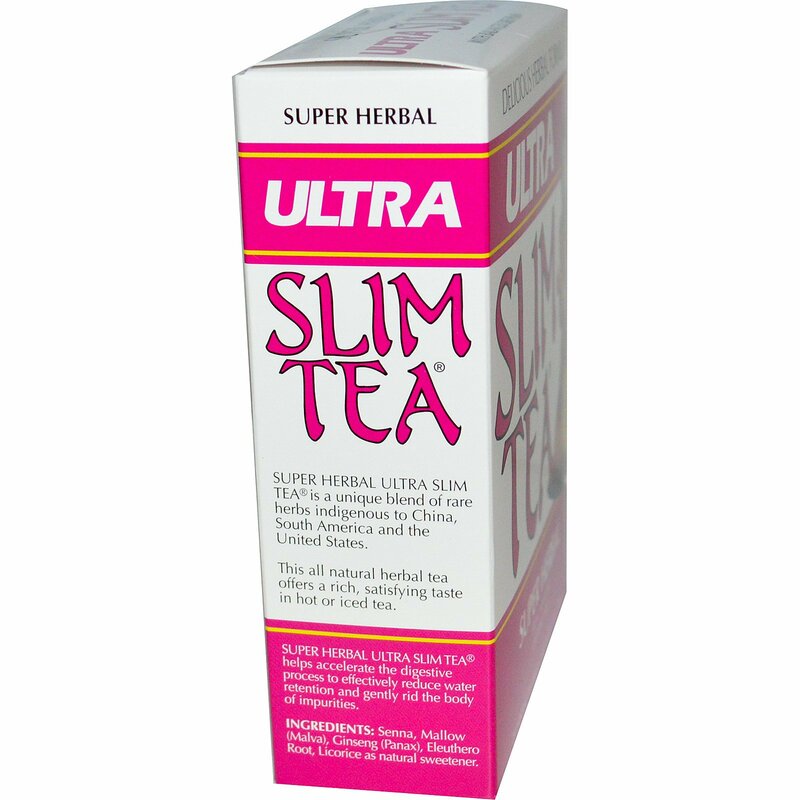 Super Herbal Ultra Slim Tea gently assists the digestive system by stimulating peristaltic action of the intestinal tract. Mild lubricating herbs encourage elimination of excess waste and toxins... without the discomfort of cramps or diarrhea. Each box of Super Herbal Ultra Slim Tea includes a Balanced Diet Plan with delicious meal suggestions. These nutritious meal planning tips, used with Ultra Slim Tea, provide a healthy natural alternative to inconvenient and expensive low calorie and difficult to maintain diet programs. 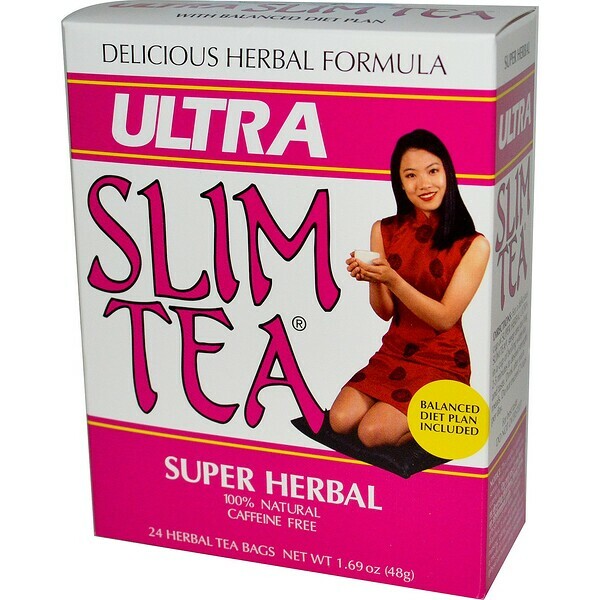 Drink Delicious, Slimming Super Herbal Ultra Slim Tea Hot or Cold... and see the results! Super Herbal Ultra Slim Tea is a unique blend of rare herbs indigenous to China, South America and the United States. Super Herbal Ultra Slim Tea helps accelerate the digestive process to effectively reduce water retention and gently rid the body of impurities. For a delicious cup of Super Herbal Ultra Slim Tea, steep one tea bag in a cup of boiling water for 2-5 minutes to desired strength and taste. Drink after main meals. Do not exceed 2 cups per day. Senna, mallow (malva), ginseng (panax), eleuthero root, licorice as natural sweetener.